On its release in America, Inside Out had the biggest opening weekend for any original film in box office history, sailing easily past Avatar’s $77m to an incredible $91m. It’s already Pixar’s eighth consecutive film to have taken over $500m worldwide, and we’ve only just had the opening weekend here in the UK, where it took £7.35m. If some were beginning to worry that the studio had gone the way of Disney, following five years of prequels, sequels and the critically mixed reception to their fairy tale, Brave, this new film has proven that Pixar is still capable of the funny, surprising and layered storytelling that made its name. But the secret ingredient of this film’s success? Sadness. Inside Out follows 11-year-old Riley and the five emotions – joy, fear, anger, disgust and sadness – that live in the control room of her head. When Riley’s family moves away from her childhood home in Minnesota to San Francisco, she loses sight of the core memories that tell her who she is, prompting Joy and Sadness to go on a journey deep into her mind to get them back. The topography grates: having to catch the Train of Thought home because Honesty Island has crumbled sounds like the worst allegory since Pilgrim’s Progress, if you think about it too hard. But as Ed Catmull, Pixar’s co-founder and president, wrote in his book Creativity Inc., ‘If you give a good idea to a mediocre team, they will screw it up. If you give a mediocre idea to a brilliant team, they will either fix it or throw it away and come up with something better,’ and in the hands of Pixar’s story artists, the landscape of Riley’s mind becomes the battleground for a new way of looking at wellbeing. It’s one of Pixar’s funniest films, the jokes coming thick and fast throughout the film (‘There’s inductive reasoning, there’s déjà vu, there’s language processing, there’s déjà vu, there’s critical thinking, there’s déjà vu…’). Perhaps the best gag is watching the maintenance workers hoover up long term memories like phone numbers (‘We don’t need these! They’re in her phone’), leaving only the names of a couple of US presidents and the ditty to a chewing gum advert. Riley’s main problems – growing up, and moving away from her childhood home – are identical to those of Pixar’s first feature film, Toy Story. In the latter, Andy’s fear and distress is played out by the toys, the whole story enacting the kind of imaginary play we might expect to see in a child’s psychological evaluation, with Woody and Buzz vying as male role models (the implication being that the family is downsizing following a divorce). When Inside Out treats the same topic, the adventure is the emotional journey itself: will Joy reign over Riley’s head once again? Up to now, Joy has called the shots in Riley’s mental HQ, and she keeps life on track by being relentlessly positive, looking for the bright side in everything and telling the others to ‘think positive’. When Sadness starts to intrude on the controls, Joy’s response is to draw a chalk circle on the ground and tell her to stand inside it. But when things go really wrong for Riley, it’s not because Sadness has taken the helm and won’t let go. Instead, the colour drains out of the console, and it stops responding to any of the emotions. As sufferers of depression attest, the problem is not overwhelming feeling but the inability to feel. This is where Sadness comes in. When we get a glimpse into Riley’s mother’s head at the dinner table, we can see her own Sadness is in charge of operations, and that’s why, even though yellow Joy is generally in charge of Riley’s HQ, she has Sadness’s blue hair and aura. Perhaps worried that Riley might take after her, Riley’s mother wants her to be a ‘happy girl’, but as things go from bad to worse, the pressure to be happy begins to seem like the real problem. Indeed, recent studies by social psychologist Dr Brock Bastian and others confirm that negativity is often our most useful companion when times are tough – it helps us anticipate problems, find solutions and empathise with others when things are going badly. It’s not negative emotions that are bad for us, but the suppression of them, especially when they are healthy, functional responses to difficult situations. Pixar have never shied away from presenting everything that life can throw at you. Perhaps the most famous example is in the montage of Carl and Ellie’s life together at the start of Up, which, taken alone, stands as perhaps the greatest short film of all time, not just for its miracle of condensation, but for the emotional impact of their childlessness, which has reduced audiences of all ages to tears. (Careful viewers may even spot scenes from this sequence in the great bowling-ball alleys of Riley’s long term memory.) Equally, on the death of Riley’s imaginary friend, who sacrifices himself to save Joy, the cinema erupted with the sound of children crying, which is just as well because I think a number of the adults were sniffing too. The whole audience left the cinema elated. In this latest film, Pixar are not just putting us through the mill. They’re showing us that, somewhat paradoxically, the way to be really happy is to experience a whole range of emotions. When Riley is born, there is only Joy, standing in front of a laughter button, but as Riley grows older, she is joined by Anger, Disgust, Fear and Sadness. 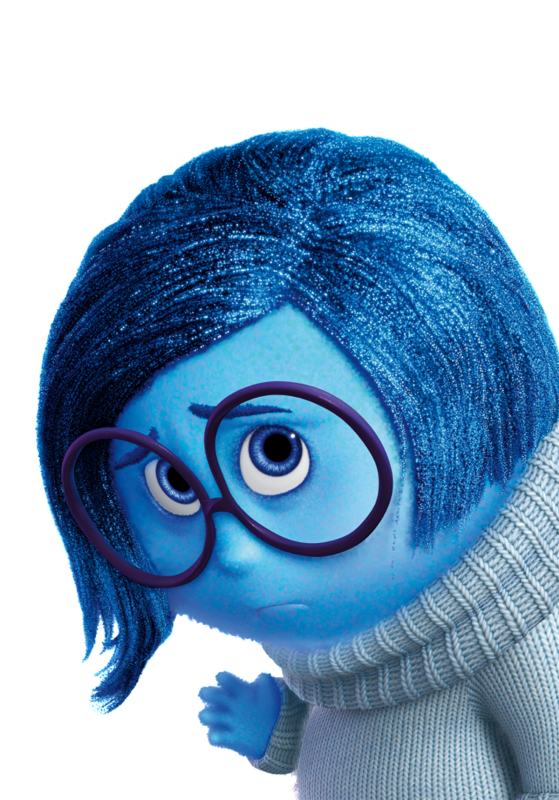 When life gets really tough, Sadness is not the antagonist she first appears, but the unsung hero. That’s the real lesson: Joy might be fun to hang around, but wellbeing is a team effort. Article first published by Prospect Magazine. Drive is one of my favourite films, so when I saw the poster for Only God Forgives – also directed by Nicolas Winding Refn, and starring Ryan Gosling – I bought a ticket. I’m the sort of person that watches a film once and, having ‘completed’ watching it, never return, but I’ve seen Drive four times now, and own the DVD. Everything about it works perfectly, from its gorgeous pink lettering to the scorpion jacket and custom Patek Philippe watch, from the glimpses of ultraviolence to the kitsch soundtrack by Cliff Martinez. The film also escapes that feeling of death by Hollywood committee, whilst maintaining popular appeal. Only God Forgives seemed to promise another defined aesthetic, swapping boygirl-next-door Cary Mulligan for a badass Kristin Scott Thomas and involving muay thai. (If you don’t already love muay thai, watch Chocolate.) But this follow up has none of the purpose of Drive, and none of the nuance in its performances. The whole film can be summed up in a few simple rules. No one can be in the vicinity of the Gosling without feeling a strong sexual tension. Not even his mother. In fact, why not go all the way with the Oedipus thing. Walk in straight lines as if you are ripping off Wes Anderson. If you don’t walk slow enough, you will be slo-moed. Keep your arms by your side. This film is not about momentum. Do not make any facial expressions. Neutral faces are tense and ambiguous. Foley doesn’t need to sound like real things. It just needs to be punchy. Especially punches. All scenes that can turn violent will. The only thing better than violence is Tarantino-esque farcical violence. Women are nice to look at, therefore lingering shots of women are self-justifying. People do karaoke in Asia. We mustn’t be allowed to forget that. Our hero tries to do good things, but does some really bad things for reasons that are never explained. This makes him a Complex Character. Film is a visual language, so characters should say almost nothing. If they must speak, turn off the audio so that they are essentially mouthing. Worse than the experience of watching Only God Forgives, is how painfully this new film bares its method to the viewer. I even began to worry that, having seen how gimcrack Winding Refn’s toolbox was, I might have ruined the magic of Drive. But Drive stands up to criticisms like those above. Drive is pensive, rather than slow; stylish rather than pretentious; Drive had a professional screenwriter, where Only God Forgives had Nicolas Winding Refn. Most importantly, Drive had characters who cared deeply about one another – the dilemma at the heart of Gosling’s Driver was how to be, as the soundtrack put it, ‘a real human being, and a real hero.’ Even the villains reasoned out their decisions, whereas in this new film, there are no heroes, and too frequently there are no reasons. So despite Only God Forgives (and despite his previous effort, Valhalla Rising), I still like Winding Refn. But rather than think of him as a visionary, I have come to think of him as a brave experimentalist who got lucky, once, with a film that happened to hide his blind spots and present his foibles as strengths. If he makes another film, I might see it. Even lightning sometimes strikes twice.